Duo Chain Bracelet in rosé/clear. 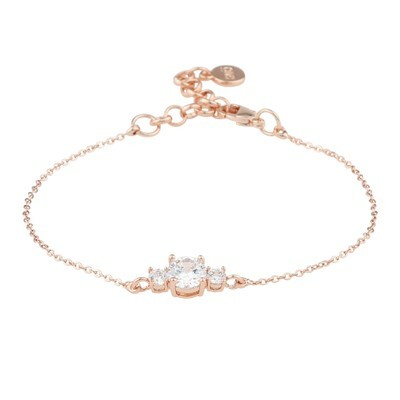 An elegant bracelet with shiny glass stones. Here in rosé gold finish that it truly complements mosts skin tones. Colour match it with dusty pinks for a feminine look.